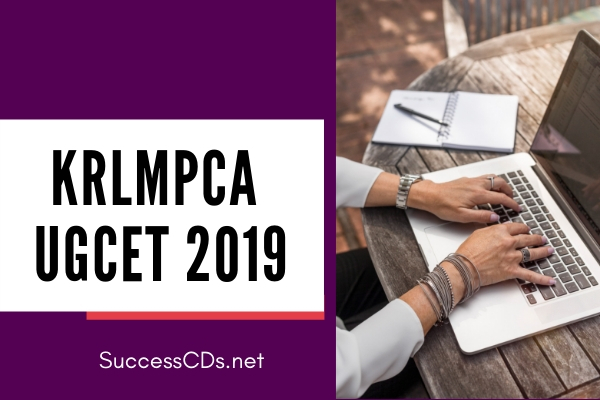 The details of the KRLMPCA UGCET 2019 such as eligibility criteria, application form, admit card, exam centres, participating institutes, admit card, result, counselling and the dates are given below. All eligible candidates including general merit candidates, religious minority and linguistic minority candidates are eligible to participate in the test and also to select seat in the member institution on the basis of the merit list prepared and published by KRLMPCA on the basis of marks obtained in UGCET 2019 (Physics, Chemistry & Mathematics). Candidates should download the Admission Tickets by entering Mobile No. given in the application form as User Name & Date of Birth as Password from the Association’s website and produce the same at the time of Entrance Test. Without Admission ticket candidate will not be allowed to appear for the Exam. The objections, if any, should be sent by speed post only addressed to "The Secretary, Flat No.143, 4th Floor, 'Suryamukhi’, Garden Apartments, #21, Vittal Mallya Road, Bangalore-560001, along with a DD of Rs.100/- per Question drawn in favour of KRLMPCA payable at Bangalore on or before 24th May 2019 in respect of any published answer key along with all the supporting documents. The results of the Test would be displayed on the Association’s website www.kmca.info on 31st May 2019. Request for re-totalling or revaluation of OMR sheets will not be entertained as valuation and the subsequent scoring is on scanning method. A Merit/Rank is generated based on the candidates’ scores in the KRLMPCA Entrance Test only. Candidates should read the Instructions printed on OMR sheets and also on question papers before answering on the OMR sheet. 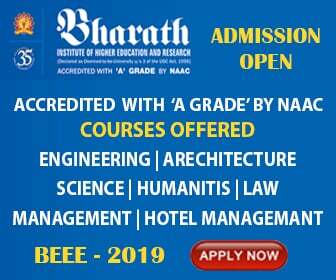 Candidates may visit Institute website www.kmca.info for complete details about the Institute.